High lease rates are resulting in an influx of late-model off-lease vehicles. 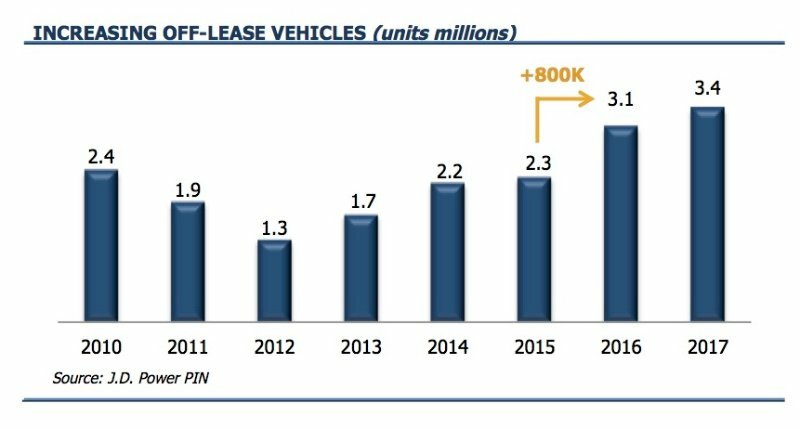 Lease maturities are expected to reach 3.1 million vehicles in 2016, an increase of 800,000 units from 2015. These higher inventory levels may push down the pricing on both used and new vehicle sales. However, the benefit to the F&I product industry is two-fold. First, the off-lease vehicles are older and higher mileage and out of the manufacturers warranty necessitating VSCs for coverage. VSCs are the highest gross profit F&I products. Second, as vehicle sale margins are squeezed, dealerships will seek to maintain overall dealership margins by selling more F&I products.